Jan Hunt has a Masters degree in counseling psychology and twenty years of experience sharing fresh perspectives and creative win-win solutions with parents around the world. She is the author of The Natural Child: Parenting From the Heart and co-editor of The Unschooling Unmanual. Jan offers parenting and unschooling counseling by email worldwide. To arrange for counseling, please order below. All communications are strictly confidential. 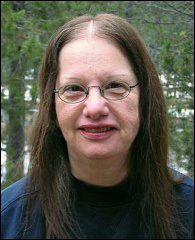 See Jan Hunt's biography, articles, and advice column. Podcast: Exploring Unschooling - Jan Hunt answers ten questions about unschooling in this wide-ranging audio interview with Pam Laricchia. "I am doing so much better since we talked and I read all the material you suggested. I'm sure you know you touch a whole lot of lives, but I wanted to let you know you touched mine and thus have touched my son's. Thank you from the bottom of my heart." - J.R.
"I feel very fortunate to have found Jan. Right from the start, she validated my concerns and shared personal experiences from her own parenting journey that helped me feel less alone and more supported. Jan has a peaceful way about her, and I leave our conversations with a sense of gentle empowerment. There are really no words to describe how much better I feel about mothering my daughter after consulting with Jan, but our daily smiles and laughter are very telling." - K.B. Jan will reply by email to arrange counseling. "Jan has so much to say and to give and so many need her knowledge desperately. Parents rarely find the essential, precious information she could give them." "Families are lucky to have available to them someone so sensitive and knowledgeable about early parenting issues. She is a caring person you can trust and one who will respect the preferences of your own individual family." "Jan is a most diligent, energetic, and well-informed person with regard to children's issues. Moreover, she can communicate her ideas in an engaging fashion that does not put parents off."